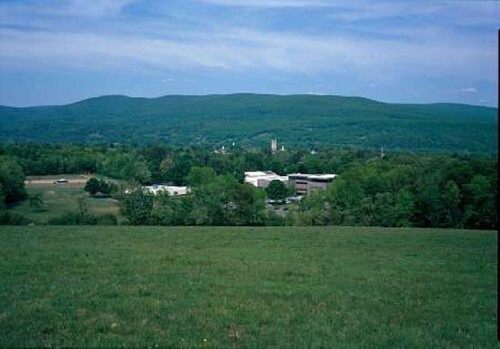 The Clark campus in Willianmstown. 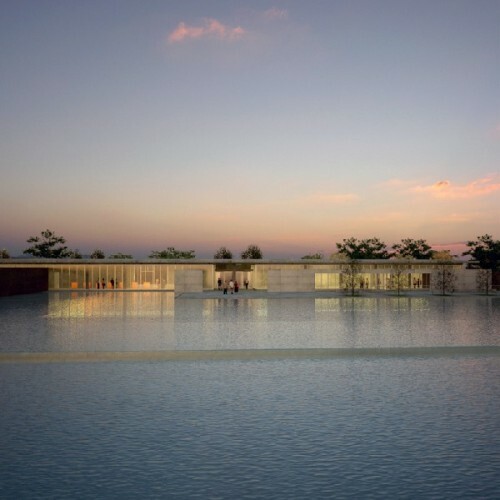 The architect Tadeo Ando has designed a master plan for the Clark. A rendering of new construction. The Sterling and Francine Clark Art Institute continues renovation and construction following a master plan designed by the distinguished architect Tadeo Ando. These changes are anticipated to greatly increase the museum's capacity to handle the ever increasing seasonal attendance of recent years. During the crucial summer tourism season the permanent collection galleries remain closed. The Clark has leveraged this as an opportunity to send many of its treasures on a global grand tour. This garners priceless quid pro quo bargaining chips for future special exhibitions when the museum gloriously reopens. Berkshire visitors will surely benefit from the canny negotiations of Clark director Michael Conforti. We may anticipate many great treasures on view in Williamstown for years to come. The immediate question is what impact having the Clark in downsized mode is having on arts and cultural tourism in Northern Berkshire County this summer. There is a complex and delicate synergy between the Clark, neighboring Mass MoCA and Williams College Museum of Art (The LA based contemporary show Asco continues through the summer). The Williamstown Theatre Festival is also factored into the mix. This year WTF has a strong season which does not appear to be impacted by off peak museum attendance. The Clark is noted for its summer blockbusters usually some aspect of French Impressionism and or Picasso. One year the museum featured the landscapes of Klimt and during another aspects of Orientalism in 19th century French art. But usually lots and lots of impressionism from Renoir, a deep pocket of the Clark collection, Degas, or most recently Pissarro. These mega shows draw traffic to the Northern Berkshires which complements the harder to sell contemporary art of Mass MoCA. It is now a few seasons past its bump for the Sol Lewitt building and a similar project for Anselm Kiefer, bound to be a big draw, is still under development. The main exhibition at Mass MoCA this season Oh Canada is attracting little or no critical attention in the American media. To my knowledge, so far, and the show has been open for months, the Boston Globe and New York Times have not reviewed the special exhibition. There has been chatter in the Canadian media but not much buzz in the U.S.A. Compared to its usual fare of French Impressionism the Clark has mounted a small but exquisite exhibition Unearthed: Recent Archaeological Discoveries from Northern China. Walking through the galleries on a recent afternoon we noted a guard informing visitors that the rather impressive, large tomb structure has never before been seen outside China. It is the kind of special exhibition of rare new material that thrills connoisseurs but hardly inspires families to pack the car for a trip to the Clark. Particularly when most of the museum is closed for renovation. As you enter the museum’s atrium which currently includes the café and book store there are medium scaled galleries near the stairs and elevator. Here you will see some of the great American paintings of Winslow Homer, Frederick Remington and John Singer Sargent. There are a few of the famous impressionists and old masters not on tour. In the China exhibition one gallery is hung salon style with a dense grid of the Clark’s wonderful collection of paintings. It is fun and delightfully eclectic. There is even a wall and kind of ersatz corridor for silver and decorative arts. It is the visual equivalent of what they call in the restaurant world a tasting menu. An intoxicating sampler of this and that. We very much enjoyed our summer visit to the Clark and are sure you will as well. Seeing those rare Chinese artifacts is indeed a once in a lifetime opportunity. The Clark’s Press Release Follows. 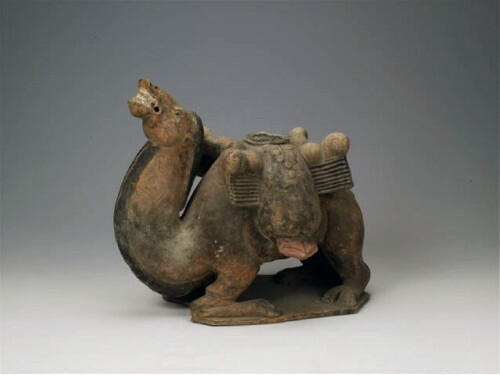 The Sterling and Francine Clark Art Institute presents rare Chinese burial objects in an exclusive exhibition that considers both the discovery and the impact of modern Chinese archaeology, Unearthed: Recent Archaeological Discoveries from Northern China, open June 16 – October 21, 2012. The exhibition features objects recently excavated from sites in the Shanxi and Gansu provinces and never before seen outside of China, including a full-size stone sarcophagus discovered intact in 2004. Unearthed leads the Institute’s interrelated summer exhibition program of four exhibitions, including three presentations in Williamstown and one in New York. The exhibitions are part of the Institute’s current cultural exchange initiative with China, and were inspired by a scientific expedition to Northern China undertaken by the Institute’s founder in 1908 to document the region’s terrain, ecology, and meteorological conditions. 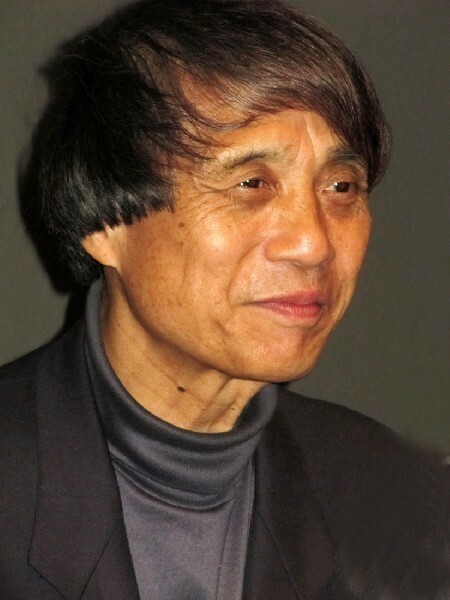 In 2008, the Clark initiated a series of cultural exchange programs through China’s Ministry of Culture to connect Sterling Clark’s pioneering work in China with contemporary audiences. It is through these efforts that special permission has been granted to allow these rare archaeological objects to travel to America for exhibition at the Clark. The 2012 exhibitions also commemorate the 100th anniversary of the publication of Through Shên-kan: The Account of the Clark Expedition in North China, 1908–9, written by Sterling Clark and naturalist Arthur deCarle Sowerby to document the events and findings recorded by their expeditionary team during the 17-month trek across the remote regions of Northern China. In addition to Unearthed, the Clark is presenting exhibitions that explore the little-known story of Sterling Clark’s expedition. In New York, the Clark has commissioned artist Mark Dion to create an installation, Phantoms of the Clark Expedition, on view at the Explorers Club from May 9–August 3, 2012. 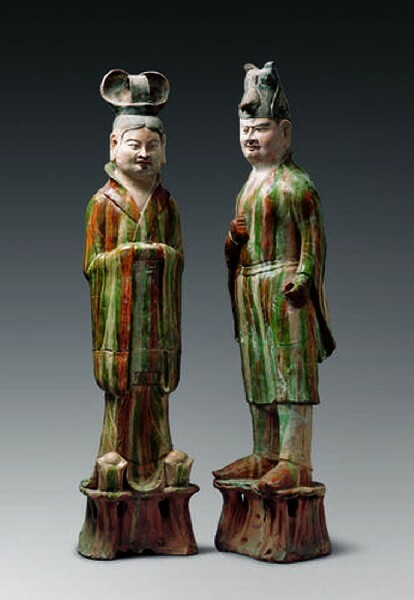 In Williamstown, artifacts, objects, and historic documents and photographs from the expedition are being presented at the Clark’s Stone Hill Center in the exhibition Through Shên-kan: Sterling Clark in China (June 16–September 16, 2012). A small photographic installation Then & Now: Photographs of Northern China (June 16–September 16, 2012), which juxtaposes historic images taken during the Clark expedition with modern views of the same sites by Chinese photographer Li Ju, is being presented at Stone Hill Center. 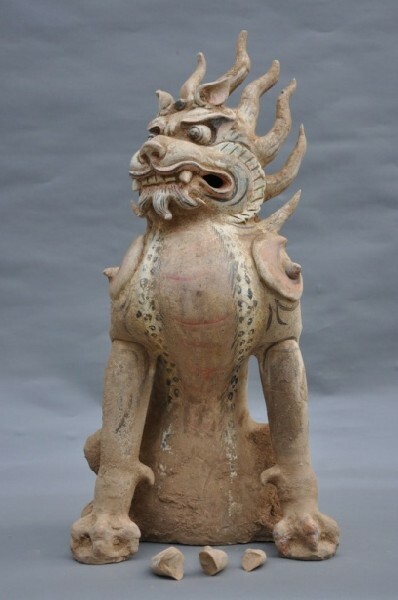 Unearthed: Recent Archaeological Discoveries from Northern China features a selection of antiquities recently excavated from ancient tombs in the Shanxi and Gansu provinces. The objects in the exhibition were found in three different tombs. 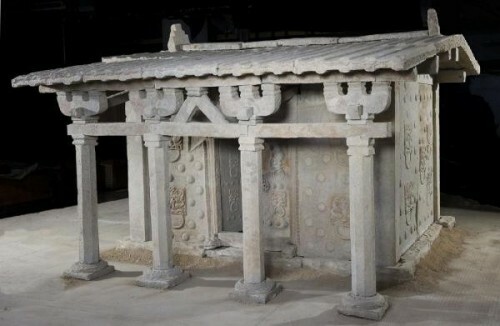 The highlight of the exhibition is a monumental fifth_century stone sarcophagus in the form of a traditional Chinese house, which measures nearly 8 ft. x 12 ft. The sarcophagus weighs more than 10 tons and consists of 108 pieces of stone. Its installation at the Clark is the first time in which the burial house will be fully assembled since being removed from the Shanxi province excavation site in 2004. Several earthenware burial figures of animals and people removed from the same tomb are included in the exhibition. 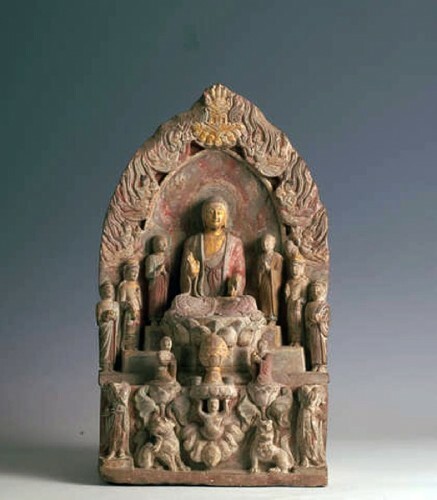 Six objects in the exhibition come from a tomb discovered in 2009 in Gansu province. 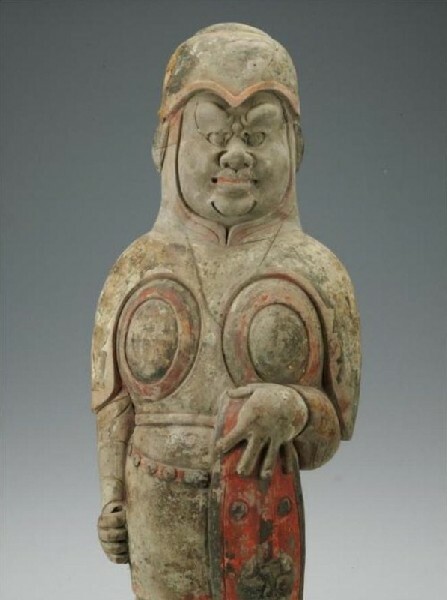 Included among these is a group of magnificent polychrome terra cotta tomb guardians—some measuring more than 4 feet high—that are displayed exactly as they were positioned when placed in the tomb in the eighth century. Other ornamental artifacts in the exhibition, including a Buddhist stele and reliquary, reflect the cultural diversity of China’s Silk Road. 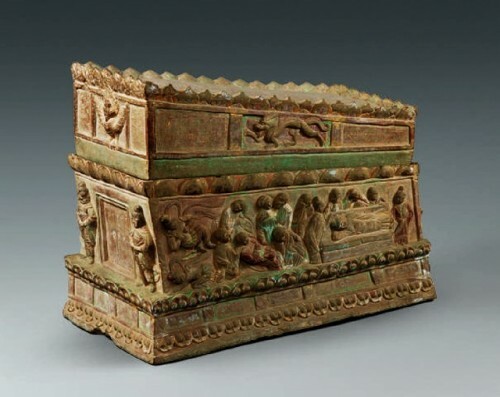 “The recent discoveries of tombs such as these—and the objects inside them—have significantly advanced contemporary understanding of ancient Chinese burial practices,” Conforti noted. The exhibition is organized by the Clark’s curatorial team, working in collaboration with guest curator Annette Juliano of Rutgers University, a major contributor to the professional and public discourse on the innovative advances happening through recent archaeology in China. The exhibition is presented in the special exhibition galleries of the Clark’s Manton Research Center on the Williamstown campus. Unearthed is supported by an award from the National Endowment for the Arts. Through Shên-Kan: Sterling Clark in China, presented in the galleries of the Stone Hill Center on the Clark’s Williamstown campus, tells the story of the 1908-9 expedition that provided the impetus for the Clark’s current collaboration with Chinese cultural institutions. The exhibition lends fresh insight into Sterling Clark’s early life and interests and explores the influences that inspired him to undertake the scientific expedition, as well as examining its impact and relevance today. Included in the exhibition are original equipment and artifacts used during the trek, historic documents and photographs taken during the journey, and several of the specimens collected by the naturalists who were a part of the Clark team. Clark undertook the journey with the intent of mapping the region, collecting biological specimens and scientific data, and compiling photographic documentation of the lands and people of the Shanxi and Gansu provinces, all of which was donated to the nascent collections of the Smithsonian Institution. In addition to objects from the Clark’s archival holdings, the exhibition features several animal and avian specimens and historic photos on loan from the Smithsonian’s archives. The exhibition, curated by the Clark’s Assistant Deputy Director Thomas J. Loughman, draws heavily upon the Clark/Sowerby account detailed in their 1912 book, Through Shên-kan: The Account of the Clark Expedition in North China, 1908-9. This exhibition is supported by the Fernleigh Foundation. Then & Now: Photographs of Northern China presents a series of contemporary images taken by Chinese photographer Li Ju juxtaposed with the same scenes as photographed during the Clark expedition. Li first viewed the Clark expedition photographs on the Institute’s website—an adjunct presentation of an exhibition organized by the Clark and presented at three Chinese museums in 2008. Inspired by the account of this early exploration of his homeland, Li undertook a photographic mission to rephotograph the same sites as a personal challenge, eventually capturing the interest of Chinese national television and Chinese National Geographic magazine, both of which have featured his work in major presentations. Li’s modern photographs are paired with those taken more than 100 years ago, providing a unique opportunity to consider the changes that have transformed China in the last century. Then & Now is being presented in the Hunter Studio at Stone Hill Center. During the construction phase of its current campus enhancement project the ClarkNOW program includes an international tour of works from the Clark’s noted collection of French Impressionist paintings, which will travel to Shanghai in 2013 as part of the Institute’s on-going engagement with Chinese cultural organizations. In addition to its summer exhibitions, the Clark’s permanent collection is presented in two new exhibitions, Clark Classic and Clark Remix, housed in the Clark’s Manton Research Center building. Clark Classic highlights a selection of some fifty works in the permanent collection including paintings by Pierro della Francesca, J.M.W. Turner, Thomas Gainsborough, John Constable, John Singer Sargent, Winslow Homer, and Frederic Remington and Edgar Degas’ famed sculpture Little Dancer Aged Fourteen. Clark Remix is a dynamic new exhibition featuring nearly 400 paintings, sculpture, and decorative arts objects from the collection in a dramatic salon-style presentation. The exhibition also features two new interactive applications: uExplore, which provides visitors with in-depth access to information on the objects, and uCurate, which invites visitors to become curators of their own on-line exhibitions. The Clark expedition was a massive undertaking, involving a large team of scientists and other specialists who traveled through the remote Shanxi, Shaanxi, and Gansu provinces of Northern China on a 17-month trek to collect scientific data and animal specimens, map the area, and create a photographic record of the region’s lands, architecture, and people. Trained as a civil engineer, Clark brought a scientist’s curiosity and method to the planning of his expedition, assembling a talented professional team that included a surveyor, a doctor and meteorologist, an artist, and British naturalist Arthur deCarle Sowerby (a grandson of the renowned botanist James Sowerby, founder of Britain’s Geological Society), as well as some thirty additional support staff. The expedition was fully outfitted and underwritten by Clark, who had first visited China while serving as an officer in the U.S. Army. Departing from the city of Taiyuan in Shanxi province, the Clark expedition traversed Shên-kan (the provinces of Shaanxi and Gansu), reaching as far westward as Lanzhou before returning to Taiyuan. In all, the team covered nearly 2,000 miles (3,200 km), primarily on horse and mule. The biological and geological specimens collected on the trek were donated to the collections of the young Smithsonian Institution.